Raise your hand if you’ve ever heard of the Fat Quarter Shop. Oh look! Everyone’s hand is up. :) Well, I’m popping in to give you a quick head up on the Crossroads Quilt Along. 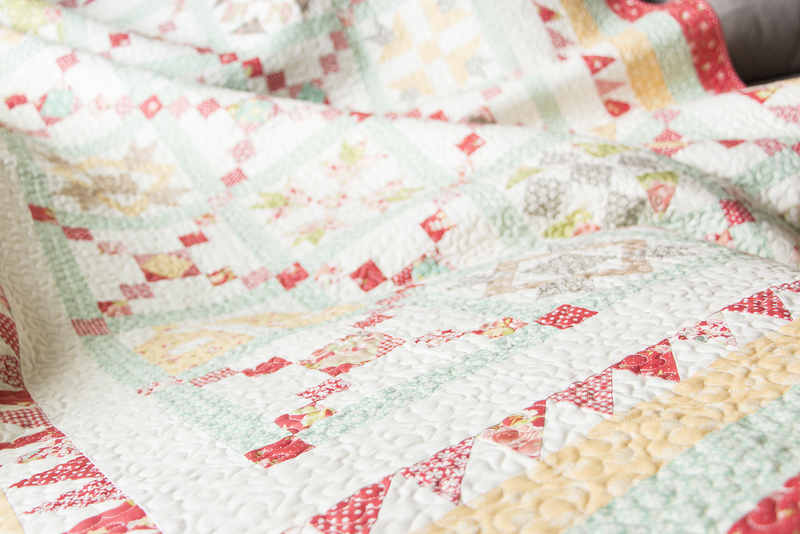 From February-August of 2016, Fat Quarter shop will post free patterns for each block in the quilt. They ask that you donate what you would have paid to March of Dimes instead. Isn’t that sweet? 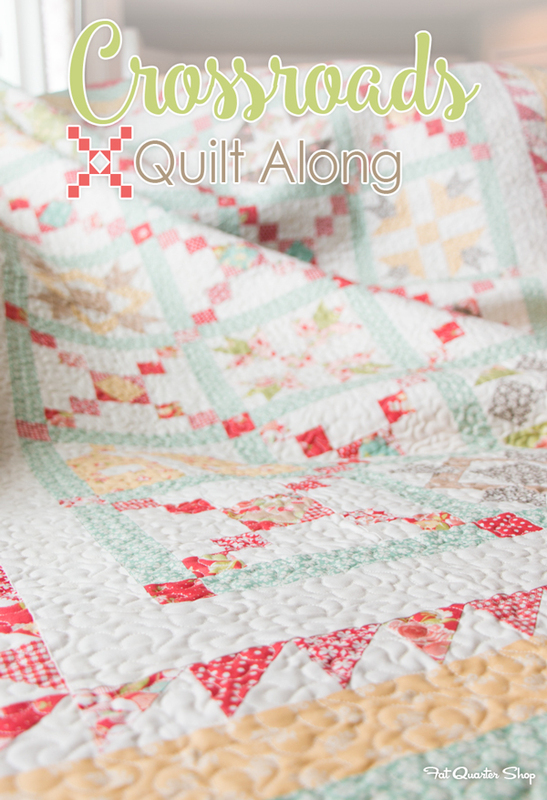 I’m going to play along and make the blocks from my fabric collections, but FQS also has a kit in their shop from Fig Tree’s Strawberry Fields Revisited fabrics, isn’t it pretty? Fat Quarter Shop has asked me and a bunch of other designers and bloggers to sew along, and today they asked that we share a little about a “crossroad” in our life. One of the difficulties I faced as a young adult was a major health problem. This was a shock to me, as I was a very, very healthy child and teenager. So when I found myself exhausted and sick just months into my marriage, I was upset and unsure how to handle it. I went to doctor after doctor, only to be told there was nothing wrong. Some were even willing to tell me it was all in my head. The more I arrived at dead ends, the more determined I was to figure out what was going on. Finally, I decided that the only person that could figure out my health was me. I did loads of research, read articles and journal publications. I looked into every possible medication, side effect, alternative remedy, herb, homeopathic, oil, supplement and vitamin. I asked for blood panels to be done testing many levels that aren’t “standard” procedure. I went to specialty doctors, naturopaths, massage therapists, and endocrinologists. When I finally began to trust my intuition and stopped handing my health over to other people, I began to find answers. I told my doctors my suspicions and findings and they were good enough to research with me, and were surprised when I told them things they didn’t know. All in all, my crossroad took me nearly a decade to get through, but I can say now that I know my body, what went wrong, how it happened, and that it is now fixed. I am proud of the things I learned, that I was willing to trust myself even when everyone else thought I was nuts, and that I figured it out and allowed my body to heal. I am a much better mother to my children because of it, and I believe they will be healthier as well. What difficulties have you faced? What was the turning point in those difficult circumstances? How did you come out triumphant? I can’t wait to sew along with you next year, and learn more about you! April, bravo to you for being your own best advocate. I have found that we need to do that for ourselves and our loved ones, trusting our own instincts. I am so curious as to which fabrics you are going to use! You’ll have to give a hint. Looking forward to sewing with you. Thanks much for sharing your ‘crossroad’; it greatly encouraged me. My ‘crossroad’ experience happened over 10 years finding first one kind of food or another my body just wouldn’t tolerate any longer. I didn’t go the medical route, but just eliminated from my diet what I figured out wasn’t helping me. Finally, one of my sons meet someone with my symptoms/experience and found out a name for it. CELIAC Looking into what that was, and in the process finding out more of what it was doing to my body, was the turning point. It’s been 20 years since that time, and I’ve had to go through getting gluten by mistake 3 separate times, once taking me close to 10 years to heal inside from it. Staying away from all gluten brings triumph in my life. I would love to follow the Crossroads Quilt Along next year. Thanks for the heads up on it. Oh April what a beautiful family you have. Your little baby makes me want to hug her! Thank you for this lovely quilt along when you are so busy! Love your Podcast and miss you guys “visiting” with me, but we all understand that when you have some time you will (hopefully) get back to it!! 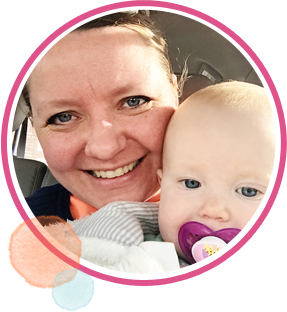 You’re an inspiration on so many levels – your kids are lucky to have such a wise woman for a mom who can teach them the amazing gift of listening to what their instincts tell them no matter what. Best wishes to you and your family. Thank you for sharing your crossroad. I like to think the operative part of that term is “road,” not “cross.” My new road started when I was diagnosed with MS at age 45 20 years ago. From the beginning, I figured God had gotten my attention and it was up to me to find out what to learn. I am so much happier and fulfilled since then! In its way, the diagnosis was a blessing. And Lynne, it’s possible your gluten intolerance has less to do with wheat and more to do with the glyphophate (Roundup) that’s sprayed at harvest to make wheat easier to glean. Organic flour may not bother you. I thought I had developed lactose intolerance at one point, but I was really reacting to the BST in the milk. Once I switched to BST-free dairy, I was fine.